Bicycle gadgets come in many shapes and sizes and are made to serve various purposes. Some are bigger, others are smaller, but the fact of the matter remains that you need to pick them in accordance with your own needs. To save you a bit of time, we’ve showcased some of the coolest looking and useful devices and items for your bike, all of which can be found online these days. 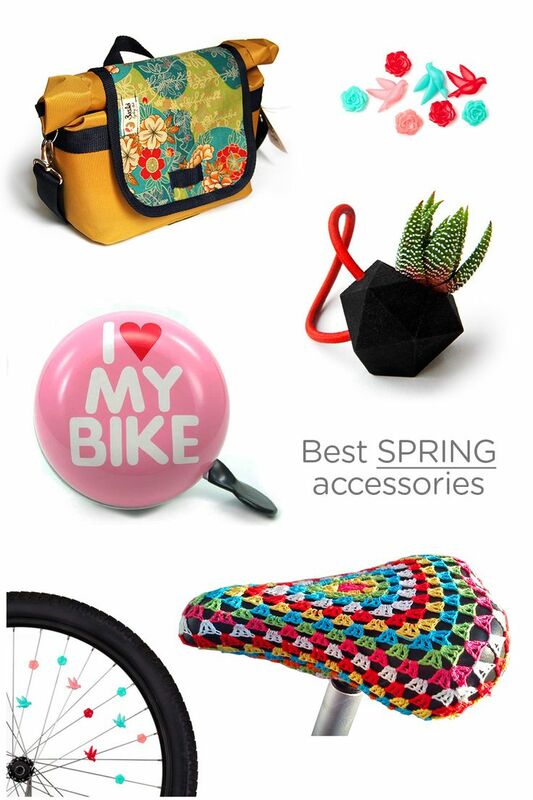 Use your imagination if you want to make the most of your bike ride and accompanying gadgets. Some can help you find your way back home while others will entertain you while you’re pedaling. Adequate protection can make the difference in all situations, especially if you are into mountain biking. The trouble with most bike helmets, though, is that they do not come with means of entertaining you while you’re cycling. The Livall MT1 Smart stands out from the crowd specifically because it has been fitted with a built-in microphone and Bluetooth speakers. Therefore, with the help of this item, you can either listen to your favorite music or enjoy a talk with one of your buddies even when you’re pedaling. Besides, this choice even comes with an SOS alert. Let’s face it. Caring for your bike isn’t as easy as you might have imagined before taking up biking in the first place. You need all sorts of gadgets and tools to make sure that the bike is in the right shape. Otherwise, you won’t be able to use it for commuting or for your weekend activities. 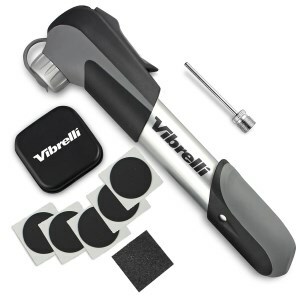 This maintenance tool comes with as many as 19 gadgets that you can take advantage of by employing the product in various situations like trail-side repairs. 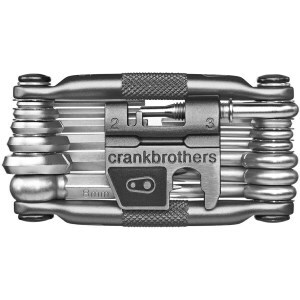 In just one tool, you’ll get anything from 4 spoke wrenches to a universal chain tool. Plus, it’s compact and even looks cool, for a change. One of the reasons you should consider this pump is that it is a telescopic alternative. In other words, you won’t even have to bend down to deal with a flat tire. All you’ll have to do is adjust the pressure in accordance with your momentary requirements. There’s a mountain bracket that accompanies this particular product, which is why you will be able to keep it on the bicycle, thus ensuring that it is ready to serve you whenever you need it the most. A glueless puncture kit is also part of the deal with this model. Nothing beats safety, especially when it comes to means of transportation. 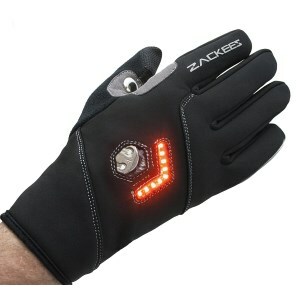 Here’s where this pair of gloves might come in handy, as it will not only allow you to get a good grip on your handlebars, but it will also signal to other bikers or drivers the direction you are headed to. This option is relatively easy to utilize and comes with as many as 54 lumen LED bulbs. The streamlined design boasted by the unit enables you to rest assured that your hands will always feel comfortable. The turn signal automatically adjusts the brightness depending on whether it’s day or night. 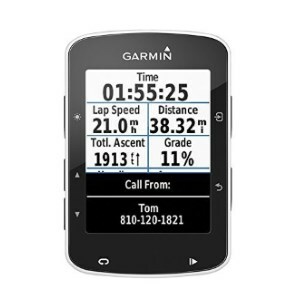 If you’re in the market for a convenient and dependable bike GPS, this Garmin product might be the right one for you. It comes with heaps of handy features such as the fact that it can pair with any compatible ANT+ indoor trainers or that it supports automatic uploads, as well as live tracking. You can even share your route with other social media users. The device will let you know the time you have spent cycling, the distance you’ve covered, your lap speed, and the total ascent. Weather updates are also available, which is a reassuring detail to take into account. Making the most of your bike is very easy provided that you have the right accessories. While some cyclists are focused on perfecting their techniques, getting back in shape, or just spending as much time in the middle of nature as possible, others are interested in more practical things. If you love cycling and have nothing against adding a small basket to your bike, be sure to give this one a shot. 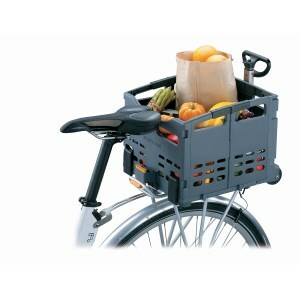 It’s roomy enough and convenient, and it will assist you in transporting your groceries from the market to your home. As a versatile tote, we couldn’t recommend this product enough. Some people can’t live without a hot cup of coffee early in the morning, and that’s the case with several billion humans around the world. If you’re one of them, it’s totally understandable, especially as so many individuals cannot function properly without some Java in them. 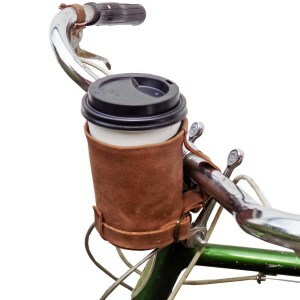 This leather cup holder not only looks good, but it’s also extremely practical as it will allow you to keep your portable tumbler or any other kind of coffee cup you’ve bought when you’re on the run. Since it doesn’t cost a fortune, maybe you’d like to offer it as a present if you’re not feeling the love for coffee right now. Avid bikers will always have some pocket money left aside for new gadgets coming up. However, finding the perfect gadget to match your bike could be quite tricky, especially since there are so many products available on the market. From phone apps to quantify all your biking exercises to a small camera to capture the most breathtaking landscapes from your cycling trips – there is certainly a gadget you will want to buy. Obviously, depending on your experience and preferences, you may end up choosing one product or another. We suggest you only pick up the items you think are extremely useful for your next biking trips and not necessarily the coolest gadgets you can find right now. But let’s face it – most bikers do this for a hobby and not for a living. In other words, they have a limited amount of time to spend on their bikes thus looking for the perfect and coolest gadgets for their bikes might take extra time. Under these circumstances, we believe our full and comprehensive buying guide could be of assistance for your following purchases. Just make sure to follow these simple tips, and you will certainly pick up the items you require the most. Below you will find a list of what we think it is useful for you to know before putting your money on the counter. Although there are countless gadgets you can add to your bike, make sure to properly invest your money in qualitative items that you will most certainly use. Before rushing towards your credit card, we believe it is fair enough for you to have a preset budget. This way you will only spend a limited amount of money, without creating debts or making poor shopping choices you will later regret. Biking is already a quite expensive sport, considering you have to purchase specific bikes which can cost a lot, but also the necessary protection equipment. If you have all this in store, you can think about further accessories. After establishing your budget, it is time to narrow down your choices. Create a list of the items you desire and think will be useful for your future biking trips. Only after making that list you can continue searching for specific items within your established budget. Tip: if you want to make sure you chose the smallest price, we suggest you search carefully through online and offline biking gear shops. Depending on the seller the same product could end up costing more. It is best to check three-four different shops before making the right choice and also take into consideration shipping costs. There are countless tech gadgets on the market for literally all your bike parts and extra more. Thus it shouldn’t be too hard to find the right one. Another important aspect to take into consideration when browsing through the coolest bike gadgets is the technology involved. Do you want a tech gadget like a GoPro camera or maybe a mobile app to track your activity? There are specific watches that can track all vital statistics, including the riding distance, the riding length, and the speed. Some of the coolest gadgets turn into microphones or have integrated GPS to help you navigate safely, especially during the night. And speaking about the night, it is true that it comes with loads of frights and terrors you need to avoid. Apart from the mandatory reflective jacket, there are numerous other bike features you can install to keep you safe during the night and not only. If you think about adding some light to your wheels, why not install LED strips to guide your way through dark alleys and roads? 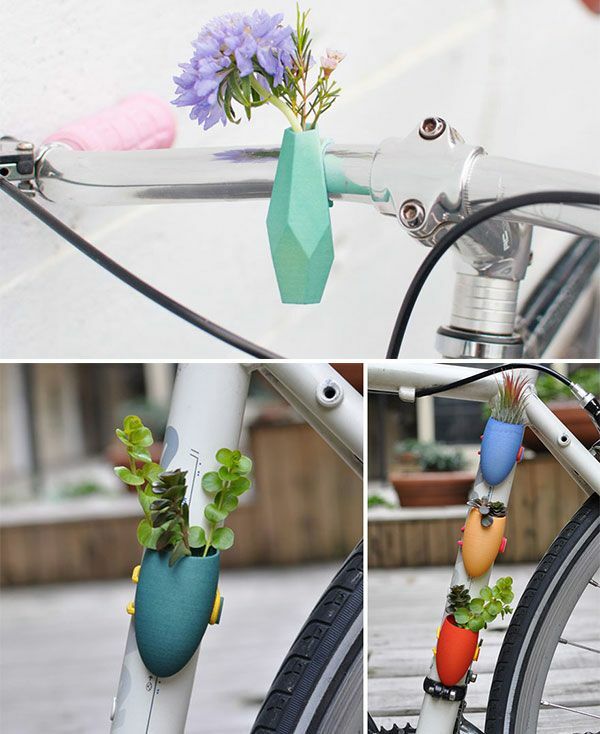 They can be easily mounted on your spokes, and you get to choose the favorite color. They will only light up when facing the front or rear of your bike so that you can enjoy 360-degree illumination and increase visibility. And what about safety helmets? Motorcyclists get to pay up to 1,000 dollars or even more for a professional and safe helmet, but bikers don’t always get the same safety features for their helmets. Luckily, you can choose gadgets such as an inflatable helmet worn around the neck which will detect when a crash occur and automatically inflate to protect your head. But, if you’re not keen on keeping such an item around your neck every time you bike, we could suggest opting for a crash sensor. 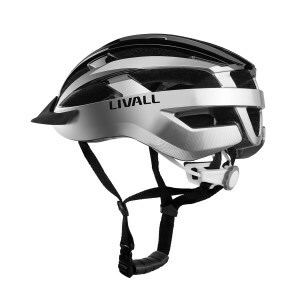 This is attached directly to your helmet and will announce your contacts when you have an accident. The sensor also comes with a countdown which, unless deactivated, it will send your GPS coordinates to your contacts to let them know exactly where you had the accident. We consider this sensor as one of the most useful in terms of security but, apparently, we advise you to rather ride carefully and avoid accidents in the first place. Last but not least, we suggest you opt for gizmos and gadgets which are easy to install and carry around. Some of the anti-shock helmets you may find on the market seem cool and durable, but are not really flexible and portable, meaning you will only have to worry more when biking. We suggest you opt for lightweight inventions which will make your biking easier and safer without adding too much weight to your already heavy biking material. Choose items out strong and lightweight materials to keep your sporting gear to the minimum weight. Flexibility is extremely important when having both your hands and feet focused on the road. Luckily, most accessories nowadays depend on a software and a smartphone, so you will only need one gadget to fulfill more purposes, including keeping you safe, alert your contact when you are in danger or keep you focused on the road. Remember that safety is the most important, so you should never sacrifice safety for style or a cool biking accessory.